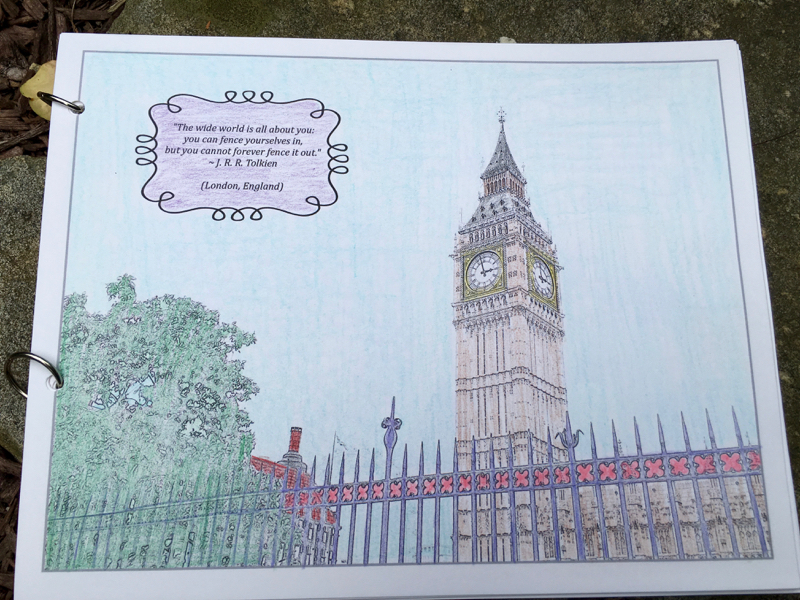 Get this Adult Coloring Book as a Bonus for Buying a Guide to Books for Reading Aloud to Your Kids! Doesn’t this page from an adult coloring book look so fun? You can get it free by buying a copy of Give Your Child the World. Both books are produced by homeschooling mom and blogger Jamie C. Martin. Buy the book and then go here to get the link to the form where you put your email address and Amazon order #. 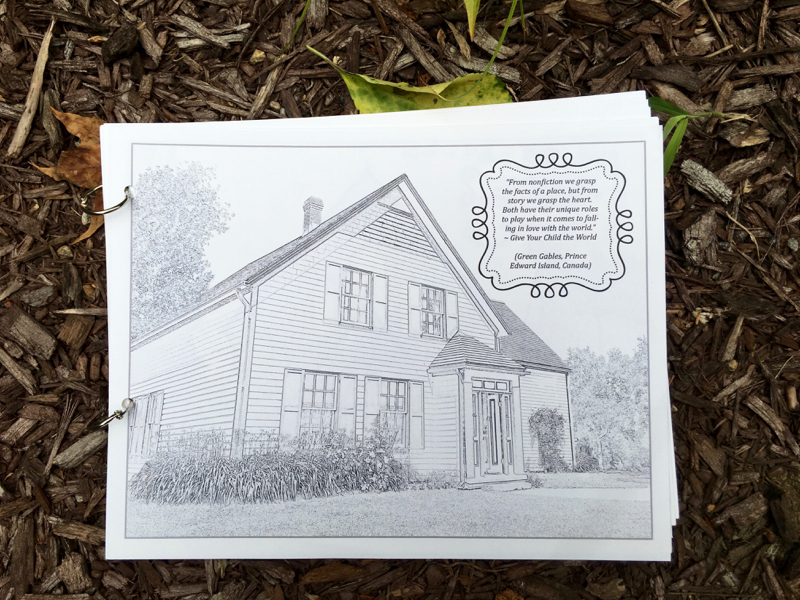 I am going to print out the pages and encourage my kids to color while we do our morning reading aloud during devotional. Maybe I will get them to read while I color, or we will pop a book on CD in and color all together! You can read my review of Give Your Child the World here. It’s such a great book with tons of book recommendations for cultures around the world, both picture books and chapter books. I recommend it to all parents, not just homeschoolers. Enjoy! You can even color Green Gables!